More #electronics_scams in February 2018 | NoScams Scam Advisor! Some #electronics_scams for February 2018. Note that not all seem to be from China. There are a few that look like from other countries. Do they have website? I can only see an Alibaba page, which already looks totally like a scam. sz-nuping.com – Write another scam in May 2018. I bought them an electric bike ebike, I paid 406usd and I already know that I will not receive anything. 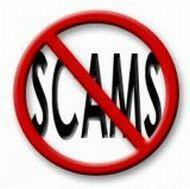 Yes it is a scam. Was already reported in February 2018. Hi, could you give me any information about geteke-tech.com and geteke-tech.top. geteke-tech.com is a known scam. geteke-tech.top seems to be no registered, domain exists? I’d like to ask if easyforeigntrade.com is a real scammer? They offered us a very attractive offer but we couldn’t trust.. The person (chris) and their supplied items are fake? Supplied items are not fake. You simply do not get anything. It is a scam. I turned around at the bottom of the precipice.